Would you like to receive regular updates from the Coalition? Simply email admin@sonorandesert.org with your request. Buy your tickets now: online and in-stores! Discounted tickets ($8) available now at Summit Hut (5045 E Speedway Blvd and 605 E Wetmore Rd), Antigone Books (411 N 4th Ave), and the Tucson Audubon Nature Shop (300 E University Blvd #120). These exciting films speak to the environmental concerns and celebrations of our planet. Check out our website to learn more and see film trailers. This Thursday – July 21st! Join us at Tucson Audubon’s monthly happy hour event, Birds and Beers, at Sky Bar (536 N 4th Ave) for a FREE film festival preview event. Join us as we showcase some amazing films (two exclusive to this preview and not shown at the August festival). Discounted tickets on sale too! Buy a ticket for your friend; invite your Facebook friends to the event; donate an item to the raffle. You can help make this event a success! The Coalition is honored to once again be a beneficiary of this event. This race features 8-mile and 5k courses looping through a cactus forest in the foothills of the scenic Rincon Mountains at Saguaro National Park East. Click here for more information and to register to run! Lots of prizes and awards for participants, plus a great way to experience Saguaro National Park! With Pima County’s recent approval of the City of Tucson’s request for an industrial solar farm in Avra Valley, both the city and the county signaled they are serious about pursuing local renewable energy facilities. In addition to providing renewable energy, the project site, a retired agricultural area, has been identified by Pima County’s Sonoran Desert Conservation Plan and the City of Tucson’s Avra Valley Habitat Conservation Plan as important for a number of vulnerable desert species. In particular, suitable Western burrowing owl habitat has been identified on the site by the Arizona Game and Fish Department, including recent burrowing owl activity. Fallow farm lands in general are an important component of the burrowing owl’s habitat. Unfortunately, many species in our region are suffering because of impacts on their habitat. In cases such as the burrowing owl and others, active restoration is our best opportunity to permanently conserve Sonoran Desert wildlife species. As part of the project approval, Pima County is requiring habitat restoration on approximately one-third of the project site, including a system of artificial burrows and resting sites for the threatened Western yellow bat. In addition to on-site restoration, Tucson Water will be completing off-site mitigation to fully comply with Pima County’s land-use guidelines. Tucson Water will also begin to implement additional conservation measures, as laid out in their own habitat conservation plan. 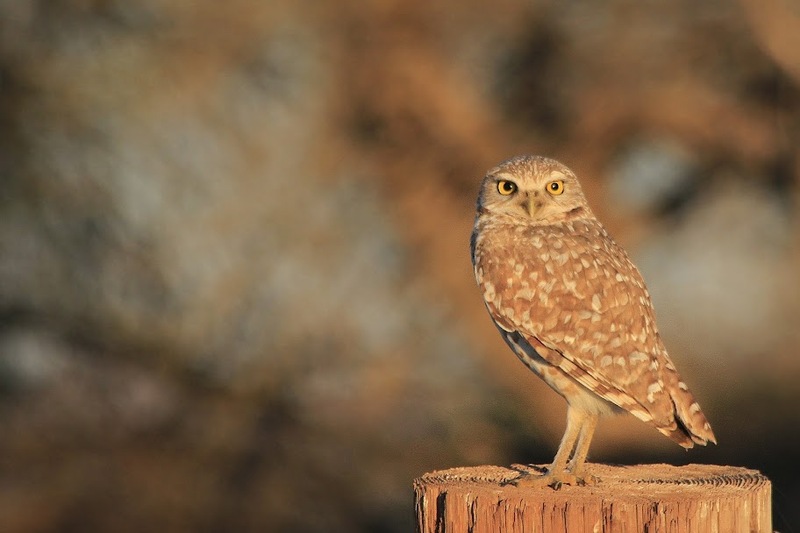 It is the City of Tucson/Tucson Water, Marana and Pima County who own the majority of lands that have been identified as potentially suitable for the Western burrowing owl. These lands are a mosaic generally adjacent to the Santa Cruz River and lands in the Avra Valley’s Brawley/Los Robles area north to the confluence with the Santa Cruz River. Throughout our involvement with this solar project, the Coalition has been encouraged by the willingness of Pima County, FRV Tucson Solar, and the City of Tucson to negotiate a viable environmental mitigation plan that allows the project to move forward while also appropriately mitigating for impacts to the Conservation Lands System. As renewable energy projects become more common in southern Arizona, it is imperative that these projects be addressed with a spirit of multi-jurisdictional cooperation. The goals of renewable energy, the conservation of the Sonoran Desert, and jurisdictional compliance with state “species of concern” and the federal Endangered Species Act can all be accomplished if we work together to achieve these complementary goals. The FRV Tucson Solar project is one example of these goals successfully being accomplished together. We are very pleased by the leadership exhibited by both Pima County and the City of Tucson, and look forward to continuing these partnerships on conservation.